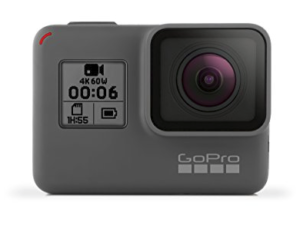 The GoPro Hero 6 is our first GoPro camera that we recently purchased while traveling through Portland, Oregon – although the video above shows some fall footage from upstate NY that we recorded right when we got back home. We’ve borrowed GoPro’s from friends before, so we knew what to expect, however we’re happy to say that we’ve gotten more out of it than expected and are very happy with the purchase so far. First off – it’s really easy to use. I’m sure this is on purpose! It’s compact, obviously, and once you figure out how to turn it on and off (the “mode” button on the side) you’re ready to go. We started recording some short clips right away (one of them is shown in the video above) and were impressed with the stabilization – we used no mounts and were holding it in our hands. After coming home and installing the GoPro app, we were happy to find that the clips could by synced to our smartphone and the app would make a short feature of the clips that we could share if wanted. This feature is awesome from my point of view – it overcomes one of the problems with using cameras that take a ton of high quality footage; dealing with the large files and spending time editing and uploading. So, right away we had a fun clip that we could share with friends if we wanted to. After that we could download the full resolution from the microSD card and do what we wanted. Win / win! In the end, we’re glad that we FINALLY picked up a GoPro – the size is perfect for popping into a hydration vest and it doubles as a great photo and time lapse video/photo taker. 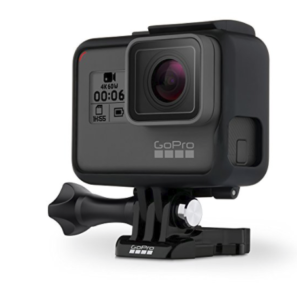 As you probably, know, there are tons of accessories for the GoPro cameras – they can basically be put on or in nearly anything! If you’re looking for a compact, stabilized, easy to use camera, then I recommend this – there’s tons of ways to use them (in your hand, on a stand, in a tree, etc) and you can get a lot of mileage from them off the trail as well – if you have the money and want a great video camera that fits in your pocket, it’s a great choice! Overall a great camera. The price might be high for some, but GoPro is known for their great cameras and the prices generally do not come down over time for a given model - so waiting a few months doesn't necessarily mean it will be cheaper...part of the reason we went ahead and purchased ours quickly!